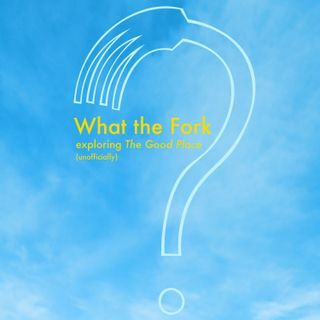 On this episode of What the Fork?, Jason and Jared spend a lot of time talking about you, the listeners, and how much they would love to hear from you--especially international listeners, because they want proof that you exist and aren't just a bunch of Janets. Speaking of, they also discuss Chapter 20 of The Good Place, Janet and Michael, and find parallels to Spaceballs and Apple products. Please rate and review the show in Apple Podcasts, or wherever you happen to listen--it really ... See More helps us out.